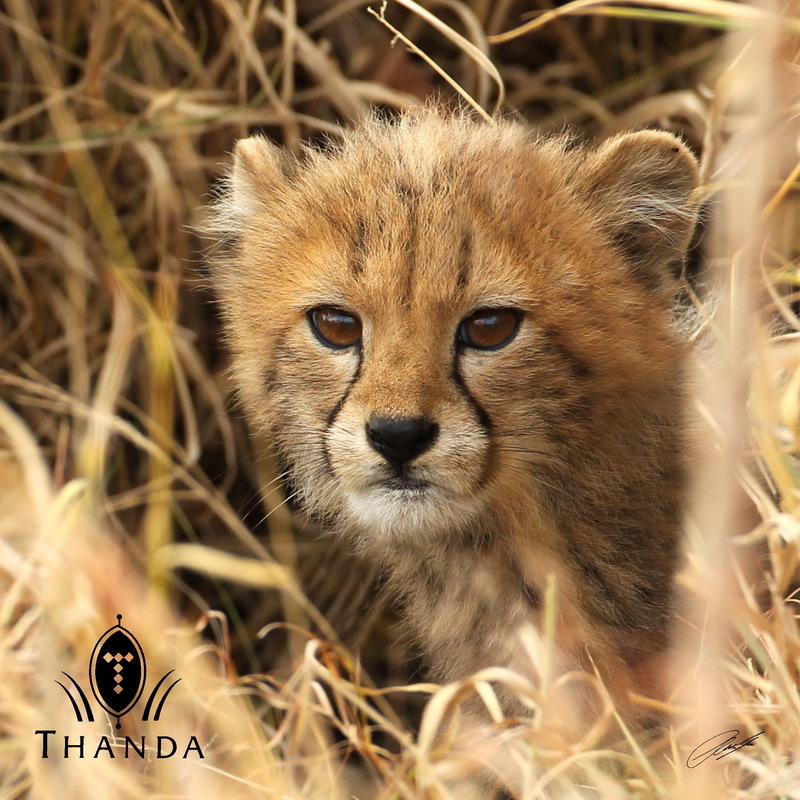 Thanda’s small Cheetah cubs are already eating some solid food. 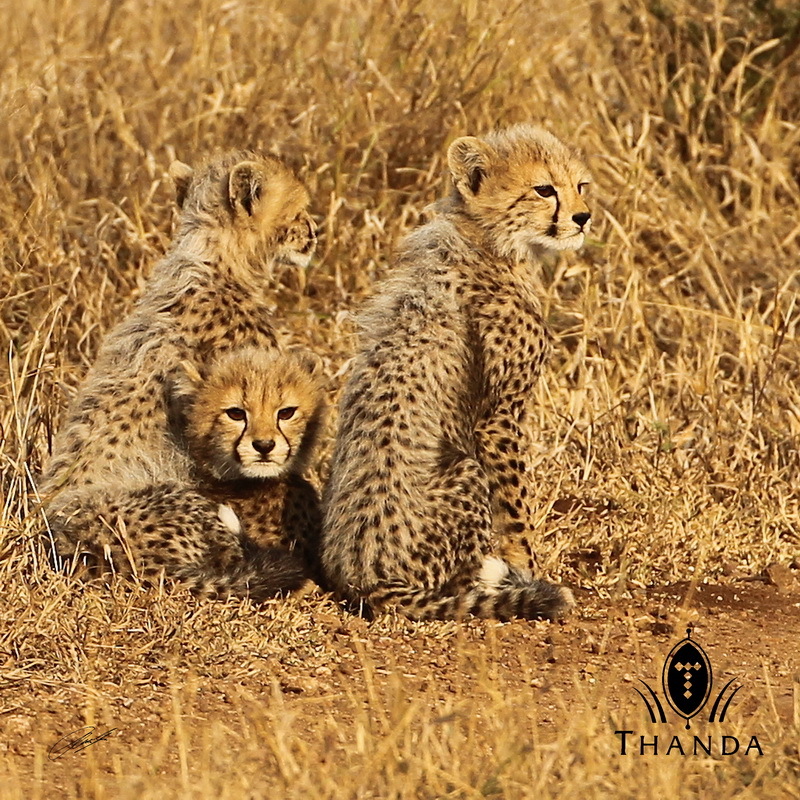 Their mum had hunted an Impala and they joined in the – for Cheetah typical – hasty meal. The three month old the cubs are also still suckling. 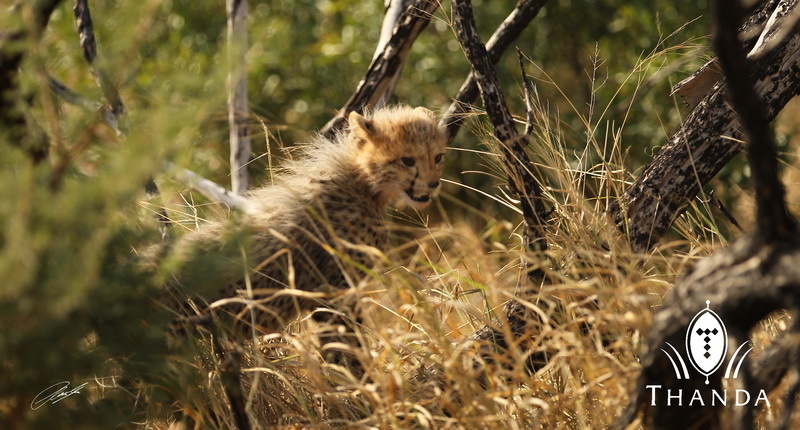 The pictures show the cubs in the road waiting for their mum to return from her hunt, mum looking for the cubs and the cubs in the high grass around the kill. Patience for almost two hours was rewarded with these images! GREAT pictures. Great viewing for a Monday morning back at work! Thanks. Great photo! 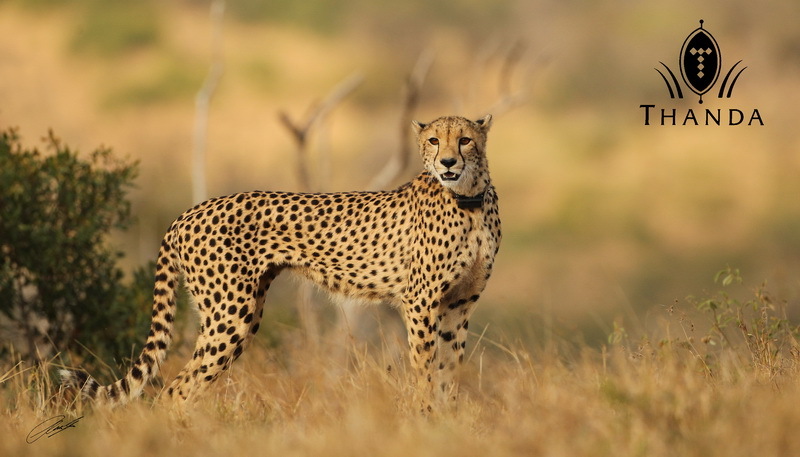 We would love to add you as an author on our blog wildlife hub. The link is wildlifepic.wordpress.com . Please email wildlifehub@yahoo.com for more information. Also visit the contribute page on our blog. Thanks for all your kind comments. Greeting from SA!